Welcome back to another amazing Savvy Story Series. 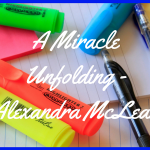 Today we have an amazing story to share with you from Alexandra McLean. If you would like to feature in my Savvy Story Series, please head over to the submissions page. Mandy – Hey everyone, it’s Mandy. 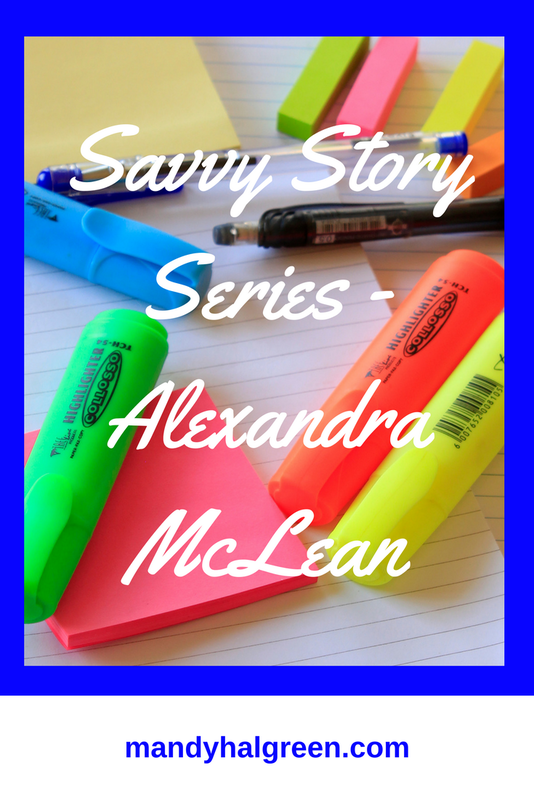 I’m back with another Savvy Story Series interview and today we will be talking to Alexandra McLean. 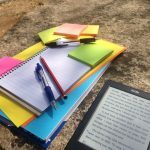 She has an amazing story to share with us about a spiritual GPS and you’re going to love this – I’m telling you, and how she got into writing and what she does every day that gives her bliss and drives her mojo. If you’re new to the Savvy Story Series, this is a series where women share their story, lives and their writing. There are a lot of us and we all deserve a platform to shine and without further or do, I’m going to hand over to Alexandra. 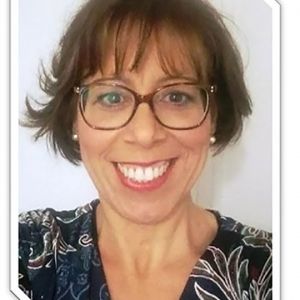 Alexandra – Hi everyone, my name is Alexandra Mclean. I’ve just written a book called Eagle Wind Soul. I am an intuitive artist and also a certified coach. It is through these mediums that I express myself and touch souls and have my soul touched as well. Mandy – How do you define intuitive? How do you know you are intuitive? Alexandra – In my book, there is a part of my story where I went through grief. It was profoundly painful. At the time I was touched spiritually. It was one of the most beautiful and enriching phases. Intuitive is the rawness and vulnerability and that I find that I’m safe and I can trust. It is a part of you and if you want to connect to it you have to make friends with it. From making friends you gain trust and the more trust you have the more you’ll get from it. Sometimes it’s scary but I can honestly say that it has never let me down. In the logically five sensory world, that makes no sense whatsoever. Trust the voice inside and see that it is the best thing for you. Mandy – What made you write your book and call it what you call it? Alexandra – I’ve always loved writing mainly for personal reasons to just get everything out of me. I can’t remember this lady’s name but she suggested to write morning pages. It gives you a clean start. I was widowed and it was very hard for me to communicate, therefore it was a natural instinct to get everything out of me. It was kind of a therapy, to expose all the light and dark matter. A challenge was set and I pursued it. What interested me was that during certain experiences I had, I could see a spiritual connection and they wanted to speak but I didn’t want to go there because I was afraid of judgement and how people would respond to it. My book title came about when I was training to be a coach and one night I had a very, very, very vivid dream of an eagle. I had nothing ever to do with eagles. So, I researched them and their behaviour and characteristics. In the training, we were all to have a coaching model and my dream was a sign that the eagle was mine. When a storm approaches, we all have storms in our life, whether its doubts, fears or worries. Every other creature will run away and hide from the storm but not the eagle. It waits and engages with the storm. It’s waiting for the drama. It doesn’t fight it but uses it to soar. And the only way to get through anything is to engage with it. Engage it all the time. When you get through, how do you get through? This brought a connection. My core thing is freedom. Wind comes and goes and life can be gentle as a breeze or violent like a storm! All of that connects with the soul and encompasses everything. Mandy – How does your artwork come alongside your writing? Alexandra – I loved painting and doodling. I can equate it as being like a box of chocolates – have all the paints and paintbrushes out. Really exquisite. After the death of my husband, I saw a canvas and it was blank. I felt blank too but you can create from that blankness. In everything, you can co-create with that nothingness. Mandy – Do your experiences define who you are? Alexandra – You say I am that and you stop living! One thing I’m sure of is that I’m here and so is everyone else. We are given life here to live and the only way is to love. Love comes in many dimensions – compassion, forgiveness and healing. What you’ve done doesn’t define you unless you want it to. You hear and share other stories with other people and see that you’re not alone. When you start to define yourself especially in a negative way, you entomb yourself and isolate yourself. The heart of it is how you are connected with yourself and your source. How do you relate to the world and how does the world relate to you. We’re all growing and if we stop growing we’re dead. In the west, there is this whole culture thing defined by results, and what our job is, instead of who you are. It’s always about how do I evolve. With writing it was a personal process for me, you’re laying your heart out. It was a point of release. When you let go you have no control over it and whoever reads it takes it their own way and with whatever is going on in their life. You’re going to hit that nerve that will kind of make them cry and I’m not out here to make people cry. In the sense of cleansing and helping someone else. Mandy – Was there a moment in your book where you had self-doubt? Alexandra – Not one but several! Hahaha. It was about me but not about me, it came from my spiritual source. For each story I did, there were times where I didn’t want to do it but did in the end because if I’ve healed from this so can someone else. I’m here as a channel of expression to help others. The idea of helping someone is cool. Once you’ve done it you don’t have any more skeletons. There’s nothing anyone can throw at you. It was very freeing! There were definitely ups and downs. It’s been nearly 15 years since I’ve been widowed. I read some content from when I was in that mind space and it moved me and that’s what I wanted to do in my writing. It was uncut raw emotion. Mandy – How did you come up with that acronym GPS? Alexandra – I’m on a mission to create a quote a day to inspire a soul a day. I would love to take full credit that I’m the genius but that’s intuitive. When I put the first quote out I was scared but then I put the second and a couple more and I’m still doing it. I’m doing it because I get a kick out of having an effect on people. GPS – God provides solutions. I use the word god to indicate that I’m talking about something deeper and that there is always a solution in life. If I have to say thanks to someone, I give thanks to God first. I used to be a teacher and in my job interview they’d ask me, “Where do you see yourself in 10years”. I’d reply, “I have no idea”. They would then ask me, “Why I am doing this?” I simply replied, “I’m here to touch souls and have my soul touched”. It’s my faith and I’m free falling, It’s that surrender. When I let go, it’s alright and turned out better than I imagined. I can’t imagine why I was frightened. At the end of the book, I did a little prayer and the prayer is a little prayer of faith – to flourish, affirm, inspire, transform and heal and it’s knowing that, having a sense of we are a part of something bigger is comforting. I think we’re all connected. I have an effect and my words have an effect. Words have an effect so use loving words that give someone a spring in their step. Mandy – If you could tell someone watching this something so they walk away with one small piece, what would it be? Alexandra – Nice question! Learn to love. Learn to love. Learn to love and you’ll never stop learning to love. Love is really the answer and it’s within us. It’s okay to know you’ve made a mistake and you realise that and that you can change and live a fuller life. Love and accept yourself. I believe each one of us is a gift or miracle. And we should unwrap that gift with love. Mandy – As we wrap up, where can we find you and is there anything else you would like to share with us? Alexandra – My website is eaglewindsoul.com. On my website my prayer of faith is free. Abundant blessings from my soul to yours! You can see some of my artwork or quotes. I am also on Instagram, Facebook and Twitter. Alexandra – Thank you, Mandy, for giving me this opportunity. It has been a real joy to talk and connect with you. Mandy – If anyone has watched this and wants to be featured, just head over to the submission tab and everything will be explained there. I can’t wait to see everyone next time and for our next awesome interview. Thank you again to Alexandra, for being our interviewee and allowing our soul to become the soul of an eagle and allowing us to fly high.